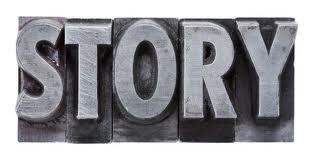 Stories are the most powerful delivery tool for information; more powerful and enduring than any other art form. People love stories because life is full of adventure and we’re hardwired to learn lessons from observing change in others. Life is messy, so we empathize with characters who have real-life challenges similar to the ones we face. When we listen to a story, the chemicals in our body change, and our mind becomes transfixed. This entry was posted in BookNotes, Story and tagged communication, Nancy Duarte, presentation, Resonate, Story. Bookmark the permalink.